* This is the latest post in a weekly series, highlighting stories from my travel-writing archive. Subscribe to the RSS feed for more. This week’s piece is particularly timely as last Sunday marked the first anniversary of the opening. Want to read more? Try Wales Coast Path blog for Visit Wales. The landscape opens up in widescreen, all crashing waves and wide-open skies. I feel a frisson of vertigo as I peer over the sheer cliff drop but steady my gaze on the path ahead, the promise of wooded glades and secluded beaches luring me onwards. I fill my lungs with fresh air and close my eyes, emptying my mind and tuning into the rhythms of nature instead. Better still, I’m the only walker on the trail today. I’m walking a section of the new Wales Coast Path, the new 870-mile trail from the Welsh border near Chester to Chepstow in the southeast. It connects existing coast paths, such as Anglesey and Pembrokeshire, to form one continuous circuit – making it the very first coast path to outline an entire country. Along the way it showcases the best of Welsh landscape and wildlife. Think near-deserted coastal trails, wave-lapped scenery and a natural habitat rich with flora and fauna. I’ve chosen a walk along the Glamorgan Heritage Coast, a 14-mile section from Porthcawl to Aberthaw, as a microcosm of the entire path. It’s also the nearest section of the path to air hub, Cardiff. For me, walking the Glamorgan coast was the perfect way to discover one of the lesser-known regions and uncover some warm Welsh hospitality. The Glamorgan coastal path skirts the Bristol Channel with views of ruined Ogmore Castle to the north and south to Exmoor. I had started walking just beyond Porthcawl, first tackling the sand dunes of Merthyr Mawr before progressing onto the salt marsh of the Ogmore estuary. Numerous flower species, including the rare Tuberous Thistle, line the trail and the twice-repeated refrain of a song thrush serenade my steady progress. I stop for tea and a chance to read up on local geology at the Heritage Coast Information Centre at sheltered Southerndown Bay. This sweep of South Wales may be sandwiched between the industrial hubs of Port Talbot and Barry, but it’s the last ice age that forged the landscape of rocky outcrops, built on layers of Carboniferous limestone. It lends the coast an otherworldly feel captured by the TV series Doctor Who, which renamed Southerndown as Bad Wolf Bay for a season-ending climax staring David Tenant. The path then climbs up from the beach through the former deer park of the Dunraven Estate, following a new public footpath to increase access. After ducking through a maritime-ash woodland, I take a detour at Nash Point, heading inland for lunch at the Plough and Harrow in the village of Monknash. Back on the coast path, Nash Point Lighthouse was the last manned lighthouse in Wales. The twin lighthouse keepers’ cottages have now been converted into self-catering accommodation with the ultimate sunset vista. I push on, low-slung afternoon sun softening the landscape, tracing a line along the coast past Tresilian Bay and Summerhouse Point to the trailhead just before Aberthaw. St Donat’s Arts Centre, an old tithe barn just off the path in the village of Llantwit Major, is staging a performance of Welsh jazz that evening, but I’m heading back to Olivia House, a stylish but homely guesthouse in Porthcawl, for a long soak and a chance to rest weary feet. After a day on the trail of fresh air, stunning views and escaping the crowds, I’ve got a tasting of walking Wales. Just another 856 miles to go. * This story was first published in BA High Life magazine in 2012. Read the original piece here. 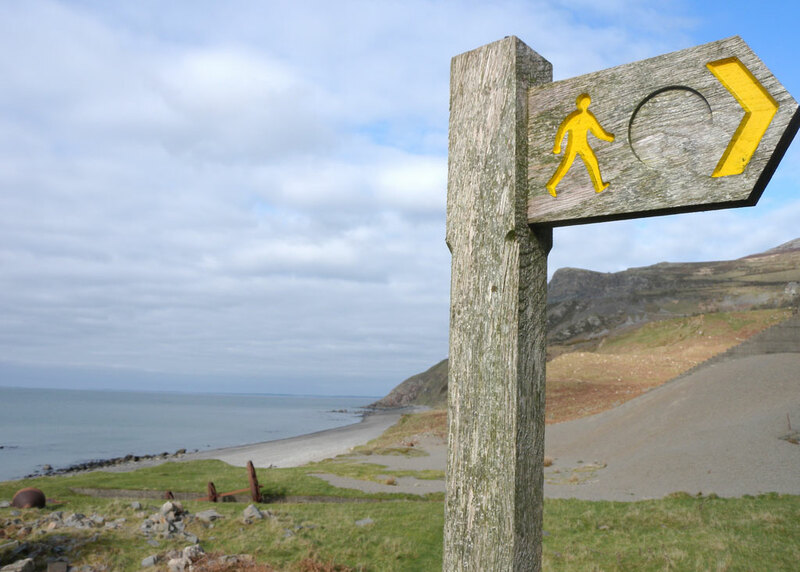 Have you got a favourite section of the Wales Coast Path to walk?